A superb design that illustrates cool tones to create a fresh atmosphere! A decal from our collection of tile stickers for your bathroom. Is your bathroom empty? Does it need some colour? If yes, this is the ideal decal for you create an atmosphere that you will love. It will also give your bathroom a fascinating appearance. Personalise your bathroom! 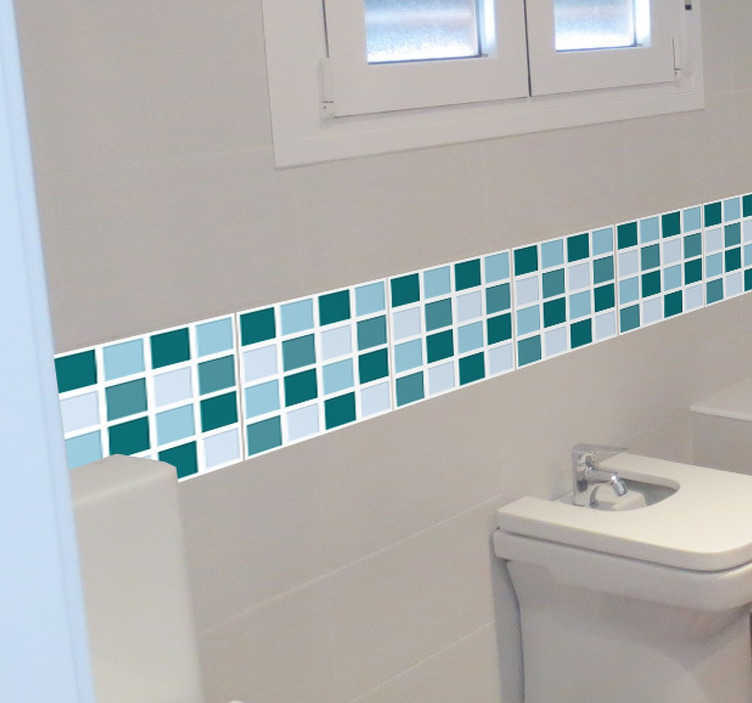 If you are not convinced or do not quite fancy this design then make sure you check the rest of our mosaic tile stickers! This bathroom tile design with cool tones is very easy to apply and remove. It leaves no residue upon removal. If you need a specific size email us at info@tenstickers-ireland.com.